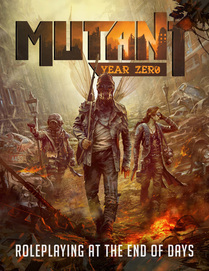 Mutant: Year Zero is a post-apocalyptic roleplaying game that casts players as mutants struggling to survive in a ruined city known as the Zone. They will risk their lives to bring resources and artefacts back to their home, the Ark, so that it can develop from chaos and barbarity into a shining utopia. This is a new edition of Mutant: Year Zero, translated from Swedish to commemorate the game’s 30th anniversary. 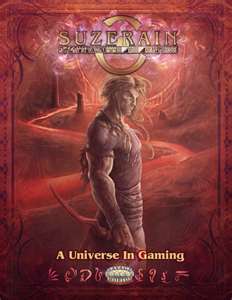 It is part of the wider Mutant setting, which includes Mutant Chronicles and Warzone, both of which have had recent successful Kickstarter campaigns and are awaiting general release. Year Zero forms a prequel to the events of the other games and should appeal to fans of the universe, especially if they want to explore the origins of the titular mutants. The Mutant: Year Zero core book is a sturdy 265 page full-colour hardback. It comes with a double-sided A3 map for two possible Zones, based on London and New York, which make it ready to play right out the gate. The art style may be a little cartoony for some but creates a comic book feel that fits nicely with the mutants’ superpowers. The additional cards and dice are of similar high quality, but not necessary to play. All you need are a bunch of six-sided dice in three different colours and you’re good to go. The players’ section includes the rules, while the DMs’ section covers background and provides a full campaign. Character creation is simple and class-based. Each class has its own unique skill, such as stalkers finding a path through the nuclear wasteland or gearheads building vital equipment from scavenged parts. Characters have a PC “buddy” and NPCs they hate or want to protect, and gain additional experience if this comes into play during a session. This is a nice touch, as it populates the world for the DM and provides solid motivation and plot opportunities for players. As a very busy DM, I heartily welcome this and will probably steal the idea for other games. The system is easy to grasp – statistics, skills and equipment give different coloured dice that are pooled together and rolled. Failures can be pushed and rolled again, but risk damaging your character or their gear. Pushing in this way also powers your mutations. These mutations are enormous fun and make your mutants feel like superheroes in the X-Men vein. Goro-like extra arms? Check. Magneto-like metal manipulation? Check. There are 25 in total and characters can develop up to four, making every character unique. PCs will need these mutations as every excursion into the Zone is fraught with danger. There are many ways to die in M:Y0 – physical damage, exhaustion, confusion, doubt, or from a lack of food, water, warmth or sleep. This sounds complicated but is elegantly done, with different damage types decreasing one or more of your four main stats until it reaches zero and you are broken and unable to defend yourself. It’s brutal, and immediately has players thinking like post-apocalyptic survivors, managing their resources carefully and weighing up the risks of every potential move. 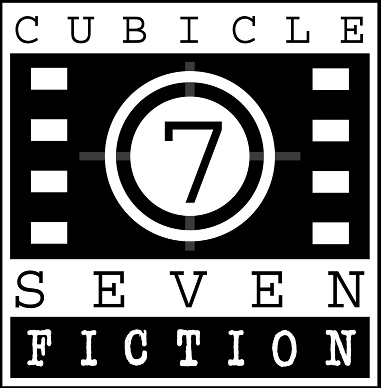 Players can’t just hide in the Ark, though – each session starts with a randomly determined threat for them to deal with. The artefacts they find can also be used to develop the Ark in four key areas – food supply, culture, technology and warfare, all of which provide bonuses as they increase. This sub-system is nicely developed and players will see their decisions having a real impact on the game world. There is a lot of fun to be had creating your own individual Ark, be it a socialist utopia or a cannibalistic dictatorship. The DM’s section provides background and a full campaign, as wells as a framework for developing the Zone on the fly. New sectors, complete with artefacts, scrap items, hazards and terrain features can be generated with a few rolls of the dice. This takes the burden of preparation off of the DM turns the Zone into a giant sandbox that players can explore as they see fit. RPGs tend to fall into two camps: games that empower the players and make them feel like heroes, or games where players struggle for survival against bigger, more powerful forces. Mutant: Year Zero straddles the two, granting players powerful mutations but forcing them to fight and scavenge for their very survival. Make no mistake, this game is brutal, and all the better for it. My players constantly express incredulity at having survived a trip to the Zone, and have all created back-up characters, just in case! Overall, I would heartily recommend Mutant: Year Zero. The book and supporting products are high quality and it uses unique, quirky mechanics that really bring its themes of desperate survival to the forefront. New DMs may be slightly intimidated by the openness of the Zone but the book does a good job of guiding and preparing them for play. There are a few turns of phrase that haven’t translated well from the original Swedish and some slight differences between the PDF and hardback editions of the book, but these are minor and nowhere near enough to put me off. My players and I had a blast playing and can’t wait to get back to the Zone. Does anyone know where I can find a good collection of A3 size Earth Maps for download? I’m trying to make new zones based on real cities (other then New York and London, of course). Very good review! Makes me wanna play this game.